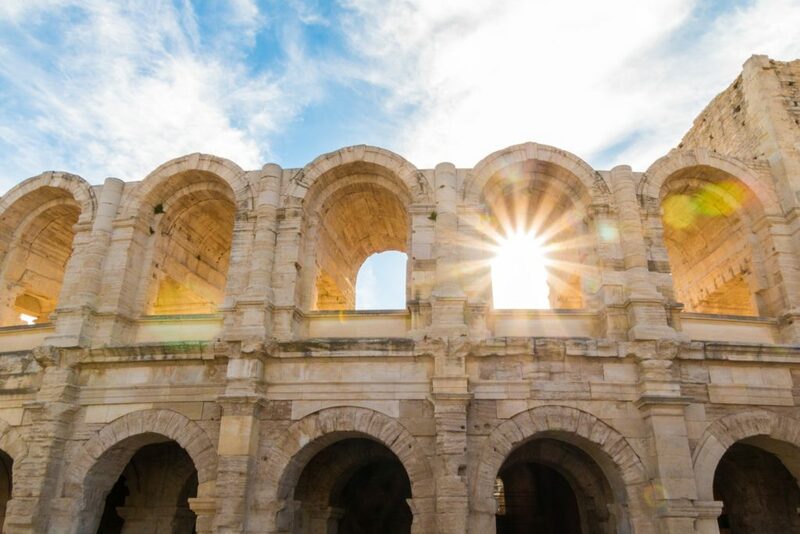 You will discover the enchanting region of the Alpilles mountain range, the ruins of a castle and its medieval village, the olive groves, the Gallo/Roman town of Glanum, the Carrières de Lumières (the quarry art and light show), and a visit to St Rémy de Provence. There are 2 to 5 domains to visit and many wines to taste. Open market days in St Rémy de Provence are on Wednesday & Saturday mornings. There will be a lunch stop in a selected restaurant. 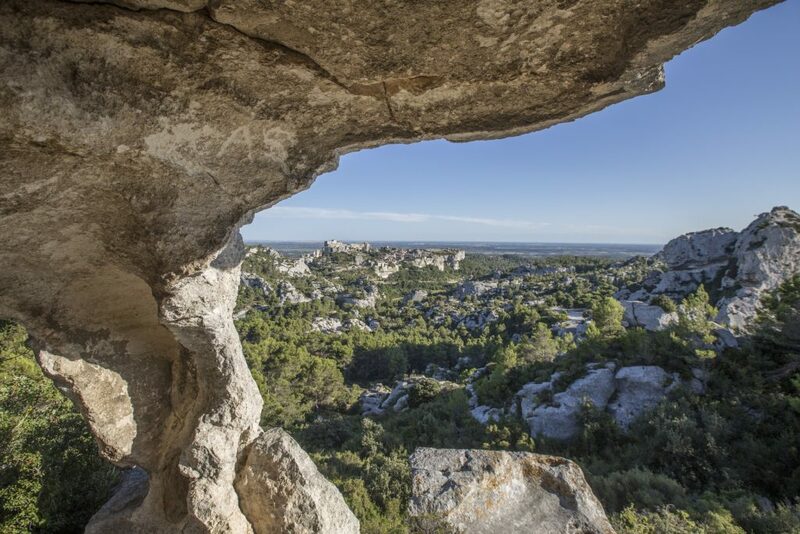 Inspiring and breathtaking, in the heart of mythical and historic Provence, the northern slope of the Alpilles is captivating with its natural rocky cirque, which shelters the Château Romanin estate. 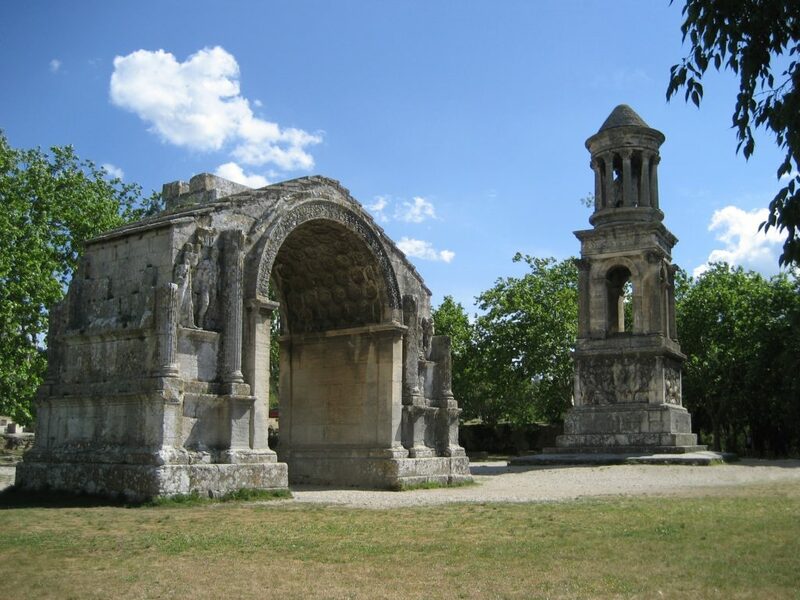 You will visit the wineries of Saint Rémy de Provence and its region, the Alpilles. When the domain was created, the vineyard produced mainly red wines but today it has diversified its range with red wines (45%), rosé wines (40%) and white wines (15%). The French red wine produced in this domain benefits from a unique terroir and is made from vines grown in a biodynamic way, a sustainable viticulture which respects the environment and the growing rhythm of the grapes. Winegrowers will share their passion and their know-how with you during this unforgettable oenological journey. Afterwards, you will go to the Domaine de Lagoy, an agricultural property located north of Saint Rémy de Provence and integrated into the massif of the Alpilles. Its central point is Lagoy Castle, a listed historical monument, built in 1714. The Domaine produces « organic » French red wine and rosé wines of premium quality. These are wines of character that express their terroir with fruity notes and a wonderful freshness. You will then stop in Saint-Remy de Provence and visit its market where producers will talk to you about their local products. You will be able to taste the local Provençal delicacies such as the reputable olive oil of Provence, the French red wine, fruit and vegetables, fish and seafood, meat and “charcuterie” products. Finally, you will visit the archaeological site of Glanum, where the remains of an outstanding collection of Roman architectural relics are located, and the Quarries of Lights, a major artistic site, where digital light exhibitions are held all year long. Transportation method: Minivan with AC and WiFi, very comfortable, we take 8 people. Activity level: Light, Can be able to get in and out of the vehicule. Meet up location: We will pick you up at a mutually aggreed upon location. Your hotel or ship, for example. Ending location: We will drop you off at a mutually aggreed upon location. Your hotel or ship, for example. What’s Included: Guided tour in English, driver, parking, gas, insurance, taxes and water plus my undivided attention. Visit to the Roman site of Glanum in Les Baux. 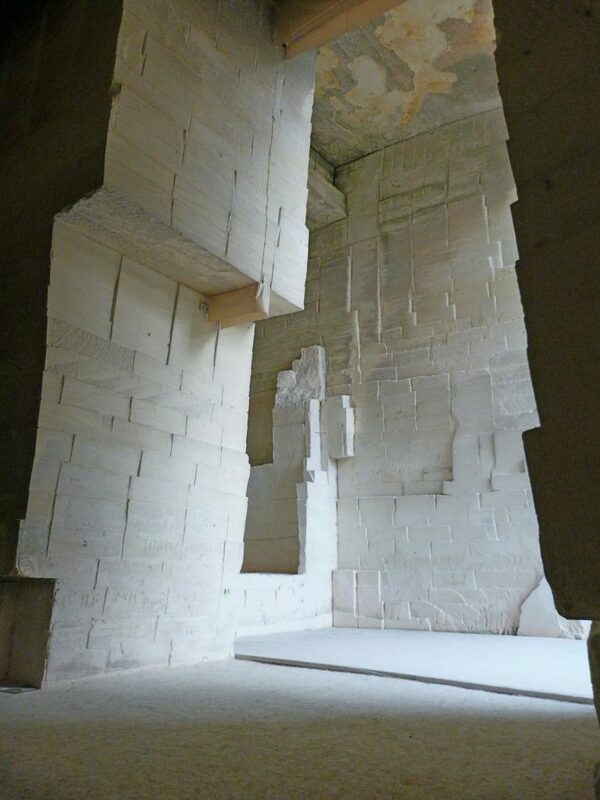 Painting exhibition and light show at a quarry under Les Baux . Visit an olive grove and its oil production near Les Baux. Walk through the village of Les Baux castle and have lunch. See a Typical Provencal Open Market. Wine tasting at the winery in St. Remy de Provence. 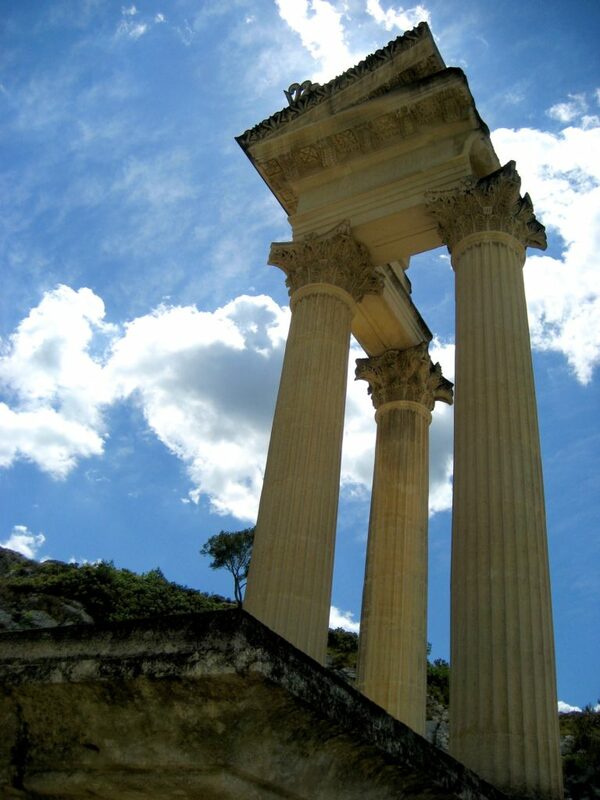 See the Roman Sites in Arles. Walk in the footsteps of Van Gogh. Meeting location: We will pick you up at a mutually agreed upon location. Your hotel or ship, for example. We will be holding a sign with your name . End location: We will drop you off at a mutually agreed upon location. Your hotel or ship , for example. Are you interested in Grasse day tour?